"RBI cuts CRR & Repo Rates" - What are these rates? You are here: Home / Banking / What is CRR, SLR, Repo Rate & Reverse Repo Rate? Have you heard or seen these kind of headlines? Hmmm, I am sure you might have…. So, what are these interest rates? How are they going to impact our finances? Let us try to understand about these interest rates in this post. One of the primary functions of RBI is to control the supply of money in the economy and also ‘the cost of credit.’ Meaning, how much money is available for the industry or the economy and what is the price that the economy has to pay to borrow that money. ‘Availability of money’ is nothing but liquidity and ‘cost of borrowing’ is interest rates. It is the ratio of Deposits which banks have to keep with RBI. Under CRR a certain percentage of the total bank deposits has to be kept in the current account with RBI. Banks don’t earn anything on that. Banks will not have access to this amount. They cannot use this money for any of their economic or commercial activities. Banks can’t lend this portion of money to corporate or individual borrowers. 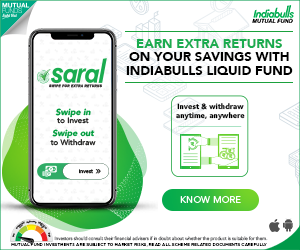 Example – You deposit say Rs 1000 in your bank. Then Bank receives Rs 1000 and has to put some percentage of it with RBI. If the prevailing CRR is 6% then they will have to deposit Rs 60 with RBI and they are left with Rs 940. Your bank can not use this Rs 60 for its commercial activities like lending or investment purpose. This Rs60 is deposited in current account with RBI. If RBI cuts CRR then it means banks will be left with more money to lend or to invest. So, more money can be released into the economy which may spur economic growth. Besides CRR, Banks have to invest certain percentage of their deposits in specified financial securities like Central Government or State Government securities. This percentage is known as SLR. This money is predominantly invested in government securities which mean the banks can earn some amount as ‘interest’ on these investments as against CRR where they do not earn anything. Example – You deposit say Rs 1000 in your bank. Then Bank receives Rs 1000 and has to put some percentage of it with RBI as SLR. If the prevailing SLR is 20% then they will have to invest Rs 200 in Government securities. 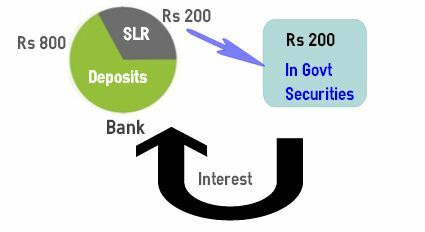 So to meet both CRR and SLR requirements, bank have to earmark Rs 260 (Rs 60 + Rs 200). When we need money, we take loans from banks. And banks charge certain interest rate on these loans. This is called as cost of credit (the rate at which we borrow the money). Similarly, when banks need money they approach RBI. The rate at which banks borrow money from the RBI by selling their surplus government securities to the central bank (RBI) is known as “Repo Rate.” Repo rate is short form of Repurchase Rate. Generally, these loans are for short durations (up to 2 weeks). It simply means the rate at which RBI lends money to commercial banks against the pledge of government securities whenever the banks are in need of funds to meet their day-to-day obligations. Banks enter into an agreement with the RBI to repurchase the same pledged government securities at a future date at a pre-determined price. RBI manages this repo rate which is the cost of credit for the bank. Example – If repo rate is 5% , and bank takes loan of Rs 1000 from RBI , they will pay interest of Rs 50 to RBI. So, higher the repo rate higher the cost of short-term money and vice verse. Higher repo rate may slowdown the growth of the economy. If the repo rate is low then banks can charge lower interest rates on the loans taken by us. If RBI cuts Repo rates in its next monetary policy review which is scheduled on 2nd, December then it means the cost of short-term credit can come down. So whenever the repo rate is cut, can we expect that both the deposit rates and lending rates of banks to come down to some extent? This may or may not happen every time. The lending rate of banks goes down to the existing bank borrowers only when the banks reduce their base rates, as all lending rates of banks are linked to the base rate of every bank. In the absence of a cut in the base rate, the repo rate cut does not get automatically transmitted to the individual bank customers. This is the reason why you might have observed that your loan EMIs remain same even after RBI lowers the repo rates. Banks check various other factors (like credit to deposit ratios etc.,) before reducing the Base rates. Reverse repo rate is the rate of interest offered by RBI, when banks deposit their surplus funds with the RBI for short periods. When banks have surplus funds but have no lending (or) investment options, they deposit such funds with RBI. Banks earn interest on such funds. The current rates are (as of June 2018) – CRR is 4 % , SLR is 19.5%, Repo Rate is 6.25% and Reverse Repo Rate is 6%. Currently crude oil (petrol/fuel) prices, commodity prices and inflation have eased. Against this backdrop, there is a high expectation of RATE CUT this time. So, if there is a rate cut what is the general impact on the economy? Hope you liked this post. Do track the RBI’s next Monetary Policy review on 2nd December. Analyze the impact of CRR or rate cuts (if any)..Cheers! Latest update (04-Apr-2019) : The RBI cuts Repo Rate by 25 basis points to 6% from 6.25%. This is the second consecutive rate cut from RBI , after a surprise rate cut in February 2019. Latest update (07-Feb-2019) : The RBI cuts Repo Rate by 25 basis points to 6.25% from 6.50%. The latest Reverse Repo rate has come down to 6%. Latest News (05-Dec-2018) : RBI keeps Repo rate unchanged at 6.5%, cuts SLR rate by 25 basis points to 19.25% and also keeps Reverse repo rate and CRR unchanged at 6.25% & 4% respectively. These latest CRR, SLR, Repo Rate and Reverse Repo rates will be effective from 1st Jan, 2018. Latest Update (01-Aug-2018) : RBI hikes Repo rate by 0.25% to 6.5%, raises inflation projection..
Latest News (06-June-2018) : RBI hikes Repo Rate by 25 bps to 6.25%; 1st Repo Rate hike since January 2014. RBI has also increased the reverse repo rate to 6%. Latest update (07-Oct-2017) : RBI keeps all the key rates unchanged. Latest update (02-Aug-2017) : RBI cuts Repo rate by 25 basis points. So, latest Repo rate is 6%. Reverse Repo rate has been cut by 0.25% to 5.75%. Latest update (07-June-2017) : RBI keeps Repo rate unchanged at 6.25%, cuts SLR rate by 0.50% to 20% and also keeps Reverse repo rate and CRR unchanged at 6% & 4% respectively. Latest News (06-April-2017) : RBI hikes Reverse repo rate by 0.25% to 6% and keeps other key rates unchanged. RBI’s latest data on Financial Savings & Liabilities of Indian Households (2016-17) | How & Where do we save & invest? I have read these explanations multiple times. But this is the easiest and the most interesting explanation to date. Even videos don’t explain so efficiently. Thank you dear Nikita for your appreciation.. Keep visiting ReLakhs.com! Government securities are issued by RBI on behalf of Government of India and state governments in India. Banks invest in these Govt securities from time to time. They can also SELL these securities to RBI as Collateral and borrow money from RBI. CAN WE EXPECT RATE CUT IN NEXT RBI MEETING? Dear adityaraj ..If the inflation is in at expected low levels, mostly yes. Let’s see! Dear Amit ..Kindly read my article on MCLR.. Very good information …. nice reading in simple language. A layman can understand financial jugglery after reading your blog. Thank you very much for a very simple explanation Visual ? Then why to cut these rates? Demand & supply of money are dependent on many factors (internal & external to economy). Also, various micro & macro factors have their effect on interest rate cycle. It’s RBI’s responsibility to respond to market factors and manage the supply of money accordingly. Awesome explanation of every topic……. Very much thank full to you …bcoz it help me alot for the project assesment !!!!? Hi Could you please explain & clarify us what MCLR actually means for a bank or a customer ? Very Nice and informative blog. It is written in a very simple language so that even non commerce person get idea. Concept made very clear. Thanks Mr. Sreekanth. I am an IT professional with 20 years experience. I would like to get sound knowledge of Finance terminology and understanding of various aspects of economy of a country, company and institution. Which course do you suggest me to take up and institution name? or which books( hard/soft/blog/websites) you advise me to follow. 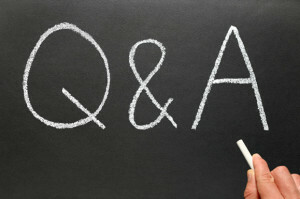 * Suggest you to start following one personal financial magazine like Outlook money / moneylife. * If not invested, consider investing in Mutual funds to understand how equity & debt markets work. Now I have Cler Concept about CRR AND SLR To read ur speech Throughly. Nice information Mr. Sreekantha. happy to read your blogs. Nicely explained. Now the rates are good as we have inflation rates in the world economy. A wonderful and in unambiguous language with clarity shall help readers and seekers. How simple you have explained the things . Thanks a lot keep sharing the information . So decrease in CRR, REPO RATE and SLR makes more funds to banks, inturn decrease in loan rates, ppl borrow more, increased purchasing power, leads to growth in economy. Increase in reverse repo also impact the same..
My doubt in what situation, RBI increases the CRR, REPO and SLR ?? In case if inflation is at higher levels, RBI will increase the interest rates accordingly to decrease the money supply. This move can decrease the inflation rate. This is all part of a cycle. Thank you for providing such a valuable explanation about these terms. How simple you have explained the things . Thanks alot keep sharing the information . ITS REALLY WELL FURNISHED INFORMATION WITH DEMONSTRATION. KEEP IT UP… AND KEEP SHARING THE INFORMATION. Do share the article with your friends. Cheers! Very good information Sreekanth…. Nice reading your blog! I have been hearing about these terms but never tried to understand them. You have explained in a simple n detailed way. Sri Ranjani – Thank you. Keep visiting!